As consumers become more empowered and engaged in their many healthcare decisions, there is a growing need for instant access to personal health information. This has led major healthcare insurers to invest in developing mobile apps that put personal healthcare information directly at members’ fingertips. They offer a wide range of mobile options for convenient access to plan features. These mobile apps have been popular with both members and providers, which is why more healthcare insurers should invest in these mobile methods. HealthcareFinanceNews.com posted more on the benefits of mobile apps. 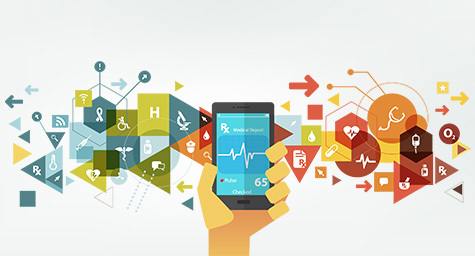 Consumers want health plan apps that improve their healthcare experience. This has led many insurance companies to develop consumer-friendly apps with network guides, drug plan formularies, cost calculators, feedback forms, and other helpful tools. Many of these features and more were included in the mobile app developed by UPMC Health Plan. According to the company, 5,000 to 10,000 members now use the app a few times a week. It’s been so successful that the company is working on adding new features, including a treatment comparison tool that delivers specific out-of-pocket cost estimates, as well as a data integrator and wellness service. And UnitedHealthcare’s updated Health4Me mobile app makes allows members to find local providers, compare average prices for 755 services and 500 types of care, and get real-time account balances. They are also the only national insurer that provides mobile payment tools integrated with current claims and benefits information. Now, UnitedHealthcare is working with Walgreens to link their mobile apps to let members earn consumer rewards. The initiative is already benefiting members in Illinois and Arizona by letting them earn Walgreens Balance Rewards points for participating in regular health activities. The collaboration is designed to get members making small changes to improve their health and wellbeing. These include walking on a regular basis, getting eight hours of sleep, and making better food choices. By committing to these changes, members can earn valuable discounts on Walgreens products in stores and online. “It’s a first-of-its-kind program,” said Vidya Raman-Tangella, head of UnitedHealthcare’s Innovation Center of Excellence. With forward-thinking healthcare insurers having so much success with mobile apps, others shouldn’t wait another second to both provide and experience their many mobile benefits.